HT Sasa for alerting me to this cool blog about archaeology, bioanthropology, and the classical world. I haven’t been able to spend too much time on it, but there are a lot of interesting posts here. I especially liked this one entitled “Ancient Riches, Modern Gambling” analyzing the historically themed slot machines. I love, love, love, that she provides actual citations for her data. One theme that I assume connects all of these slot machines together is wealth, riches, or fortune. The two New World civilization ones make that connection explicit, but the rest rely on the assumption of a shared Western knowledge of Graeco-Roman history and Medieval mythology. Were ancient civilizations wealthy, though? Not really. The total GDP (wheat equivalent) of Classical Athens, for example, was 200,000 tons; the Roman Empire at its height was 50,000,000 tons. That sounds impressive until you realize that the GDP of the U.S. in 2009 was 66,000,000,000 tons (Scheidel 2011). Then again, Rome had a $43.4 billion GDP (in equivalent 1990 international dollars) (Scheidel and Friesen 2009), which is about the same as the GDP of, say, New Zealand in 1990. The connection between riches and the ancient world seems tenuous to me and is based on a fetishization of past cultures, which have been divorced from their sociocultural context and reduced to their material trappings. These so-called riches and fortunes are based on our collective Western notions of what constitutes art and what is valuable. 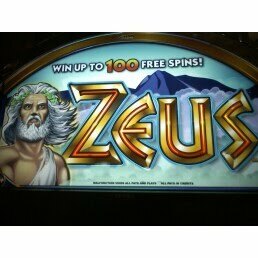 I did not see, for example, slot machines with themes of Native American or African cultures, those we still tend to view as “traditional” and “primitive.” The ancient world that has been chosen as representative of historic riches is one that is predominately male, white, and European – a description that also applies to today’s wealth distribution.